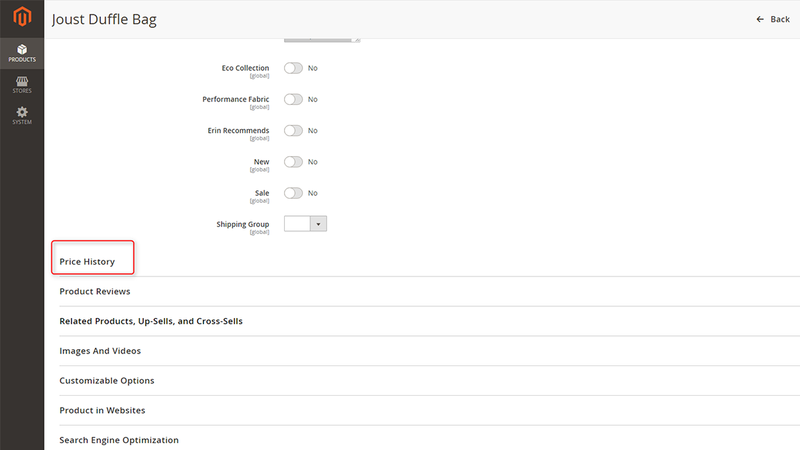 You have a big web store, you have a lot of products. Products' price may change every day and you can't keep an eye on changing price history. 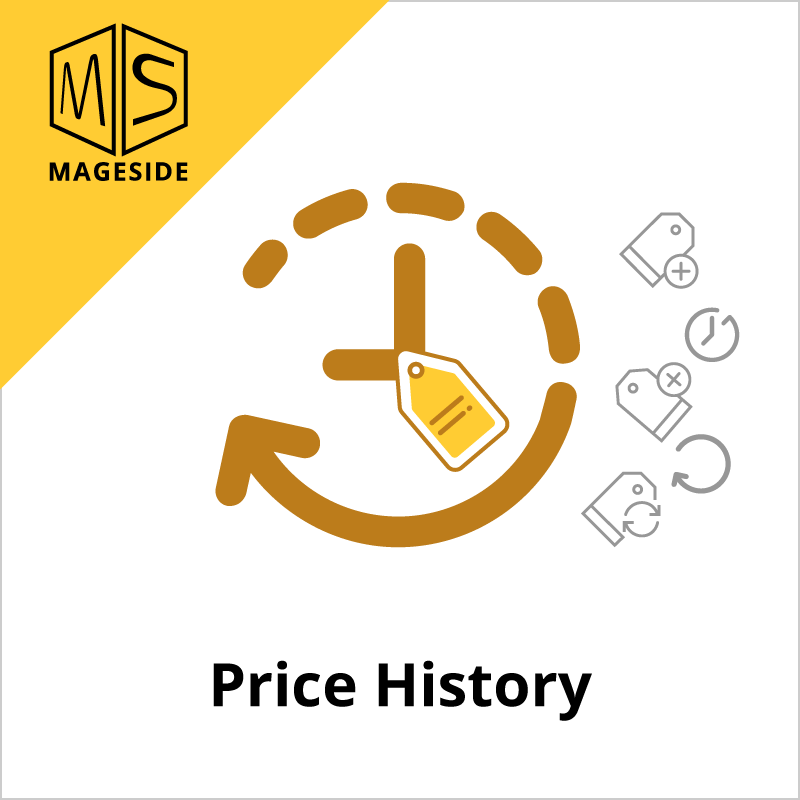 We are happy to introduce you our extension "Price History". 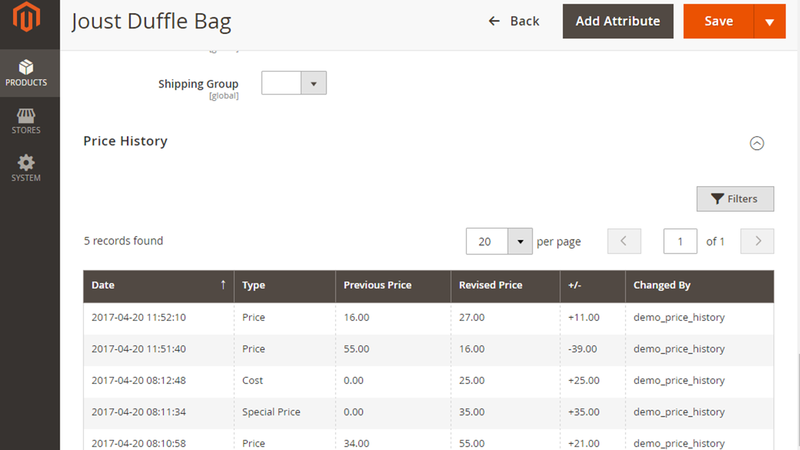 It will help you to track all prices changes within each product in your store. A detailed history of each modification includes information as date, price attribute, old price, new price, and the person who did the modification. Such information is useful for analytics. E.g. do a comparison a number of sales of a particular product and the prices in a specific period to see what gives more profit. 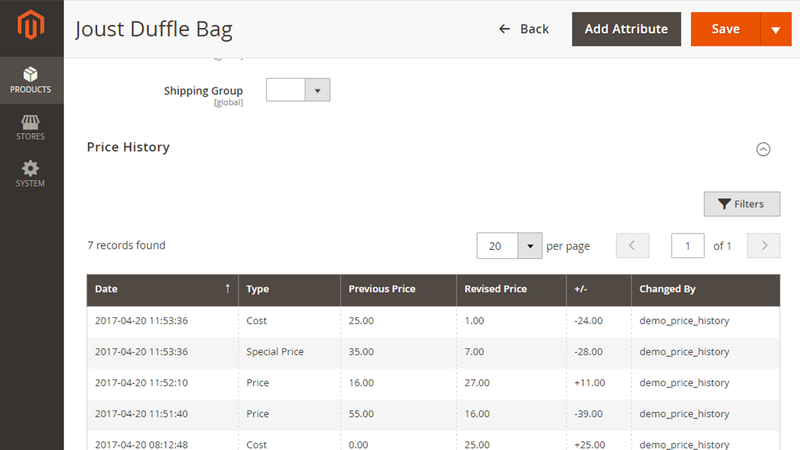 Our module provides you the capability of better understanding the prices management. 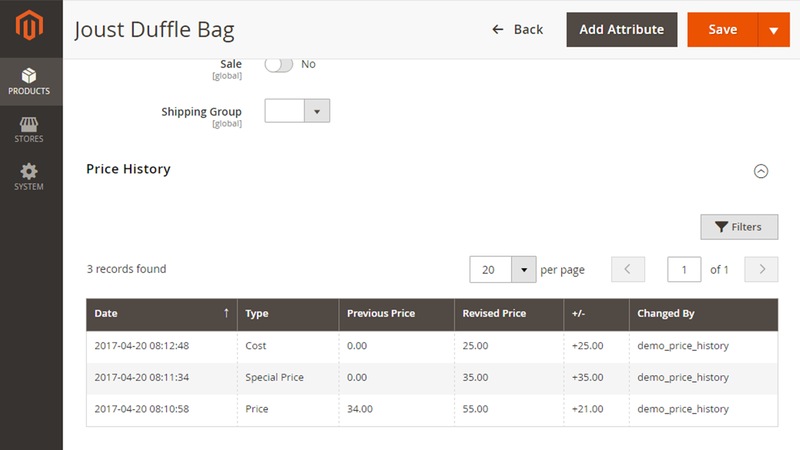 If you update products information through Magento import via csv file uploading, price attributes will be watched and the changes are recorded if changed. 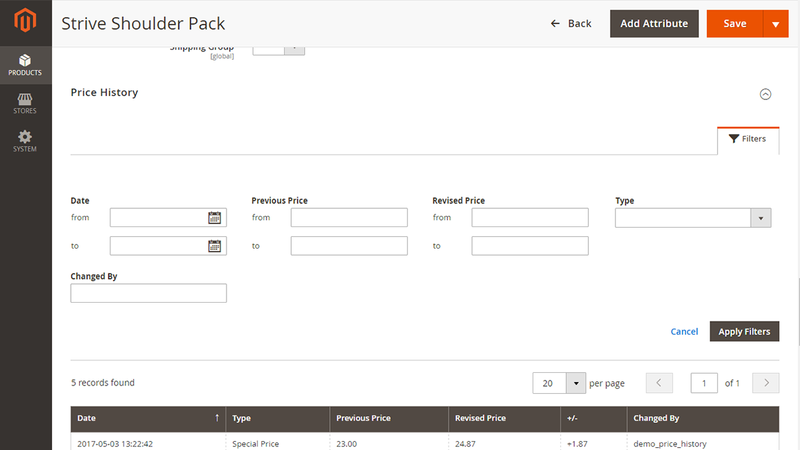 Allows you to control all changes to prices manually done by adminstrator accounts. Each record has information about account username who did operation. 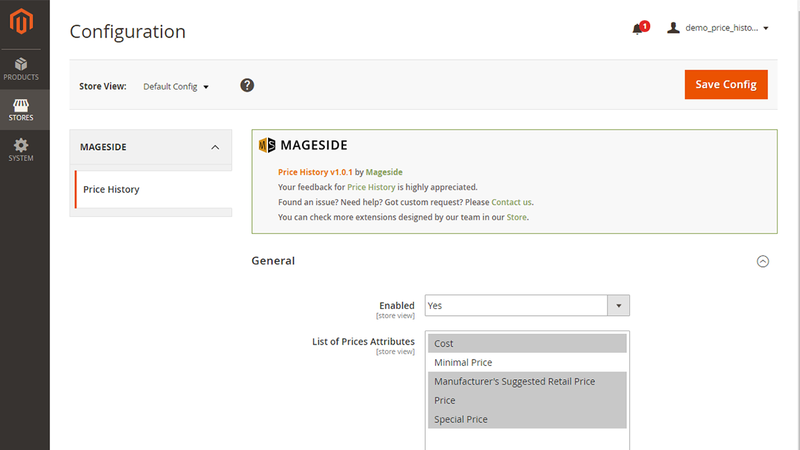 You can filter the price history according to such filter fields as date, previous price, revised price, type, changed by. It is especially helpful when a product has a long price history, so you can find it quickly.